To perfom linear movements, e. g. in case of globe valves, the multi-turn actuator SA … can be combined with the linear thrust unit LE, forming an electric linear actuator. In case a lever arrangement has to be operated, the linear thrust unit can be mounted on a base. 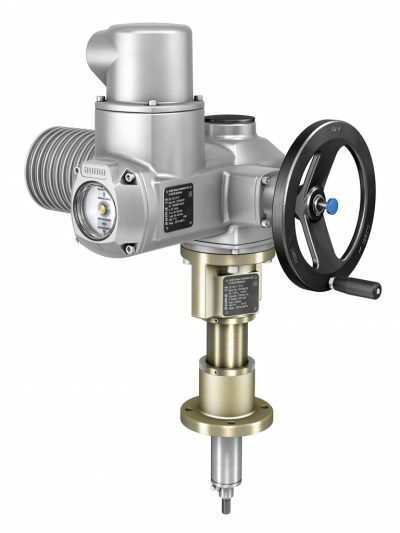 To perfom linear movements, e. g. in case of globe valves, the multi-turn actuator SA can be combined with the linear thrust unit LE. In case a lever arrangement has to be operated, the linear thrust unit can be mounted on a base. 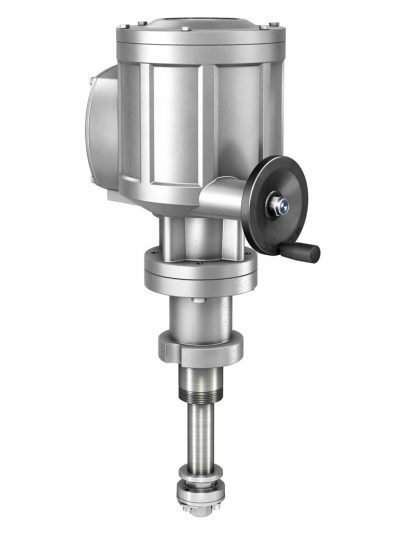 Electronic actuators with variable speed control. Electronic setting of torque and stroke with function monitoring. Power supply unit with wide range Input. Actuator applications for demanding control automation tasks in industrial environments with potentially explosive atmospheres.